Presently, Russia is facing a choice between the traditional pollution regulating scheme and introduction of the emissions trading scheme. By preliminary estimates, carbon taxation at the initial stage might amount to $15 per 1 ton of CO2, Rossiskaya Gazeta wrote. Industrialists and authorities of Siberian regions ferociously criticize the idea of the carbon tax. “Everything will be put at a halt then: the oil and gas industry, the transport, metallurgy, and agribusiness, and the chemical industry. This all will ultimately burden citizens. Electricity and heat prices will go up 2.7 times,” Governor of the Kemeroveo Region Aman Tuleyev is worrisome. Prime Minister Dmitry Medvedev agreed with Tuleyev: he called “destructive” the project of carbon regulation. The Russian Union of Industrialists and Entrepreneurs is also an opponent to carbon regulation. In their opinion, carbon regulation will have negative impact on the development of the Russian economy. The RUIE representatives also consider importance to legalize accounting carbon absorption with forests and other ecosystems as a compensation of the CHG emission. Discussions around carbon regulations keep going on at the international level as well. As long as most of the climatic countries’ obligations are the minimum of what countries can do for climate protection, and these efforts cannot be sufficient for the targeted two degrees, a search of a new economic foundation at the international level is going on. The majority of western experts believe that carbon regulation is one of the most promising mechanisms. Introduction of national regulating systems for greenhouse gas emissions in the form of a market or a tax is presently the leading trend in the developed countries, they say. It combines the striving to provide for environmentally comfortable living conditions for citizens with innovative social / economic and technological solutions. Adherents of the carbon tax call this measure a double dividend (win-win solutions). In their opinion, the economical motivation for environmental protection and resource saving through introduction of environmental taxes should be accompanied by proportional reduction of the taxation burden related with social payments; potentially, this should be able to stimulate employment and maintain competitiveness of national manufacturers. The carbon tax can replace a whole set of taxes which, in the end, go into the state budget. Collections made under this scheme, unlike the current taxation, have real under them resource provision and are fairer. It is important to emphasize that the Paris Agreement contains prerequisites for formation of “carbon clubs.” Particularly, article 6.4 presumes creation of a new financial instrument which, in the experts’ opinion, will, most likely, consist of successful Kyoto practices of the Clean Development Mechanism (CDM) and joint implementation projects (JIPs). Mutual settlements. To achieve the 1.5C target, countries should focus on reduction of emissions and not on mutual settlements of carbon quotas. Unfair selection regulations for financing. International credit disbursement should be a complement to ambitious actions at the national level. Non-conformity with the principles of stable development. The sustainable development goals and the “do no harm” principle should be at the controls. 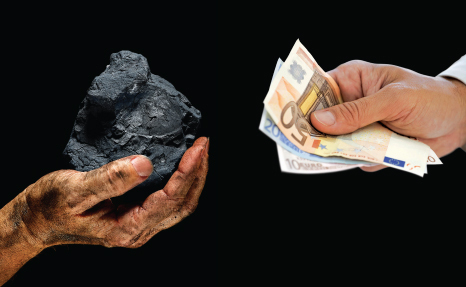 Experts claim that the Paris Agreement will allow not to trigger a backflash: despite the fact of using the CDM and JIP experience, the future carbon markets will be pretty much different. They will contain fixed principles including environmental integrity, transparency, avoidance of double accounting, and auditing and certification. It is assumed that countries will continue developing, testing, and implementing market programs of carbon market pricing. Already now, governments have been invited for cooperation in the development of regulations and standards for providing integrity of international carbon trading and facilitation of greater coordination between domestic carbon markets. Measures proposed by the Russian Ministry of Nature are in the context of the international climate policy. The Ministry of Nature and the Ministry of Economic Development have started implementation of the system of greenhouse gas emission accounting. A draft order on inclusion of requirements for emission indexes into reference books of BATs (best available technologies) has been prepared. Adoption of the Law on state regulation of greenhouse gas emissions should be the next stage. As far as Russia’s carbon market indexes are concerned, i.e., carbon capacity of the Russian export and GDP carbon capacity, by experts’ assessments, it is nearly 4 kg of CO2 equivalent per one US Dollar. This is ten times higher than in the European Union and 15 – 20 times higher than in Japan. The “greenhouse content” amounts to no less than 5% of the entire cost of the Russian export. The greenhouse component can easily be made a subject of Russia’s trading partners’ customs or other regulations in the nearest future, experts believe. The European Union already has a legal norm in force allowing to include importers of high carbon capacity production sectors into the European system of emission trading. In the opinion of Anton Galenovich, Executive Secretary of the Ministry of Economy Working Group “Business Russia” for the issues of greenhouse gas emission regulation, carbon markets serve economic and political interests: they naturally conjugate with the economic, industrial / technological, environmental, external-economic, and international policies of the country. Authors of the Report on Regulation of Greenhouse Gas Emissions as a Factor for Enhancement of Russia’s Competitiveness believe that introduction of “carbon” regulating allows to reach with certainty such goal as 40% reduction of GDP power capacity by 2020 . Anton Galenovich believes that there should appear in Russia entrepreneurs understanding the value of the carbon market as such and as an instrument for management of assets with the working volume of about 1 bln ton in natural expression and about one zillion rubles in monetary terms. There are no such entrepreneurs so far, and the issue of regulations is mostly discussed in the context of traditional administrative-technical rating where greenhouse gases are no more than another domain of contaminators which should be dealt with under the auspices of Rosprirodnadzor (Federal Service for Supervision of Natural Resource Usage).